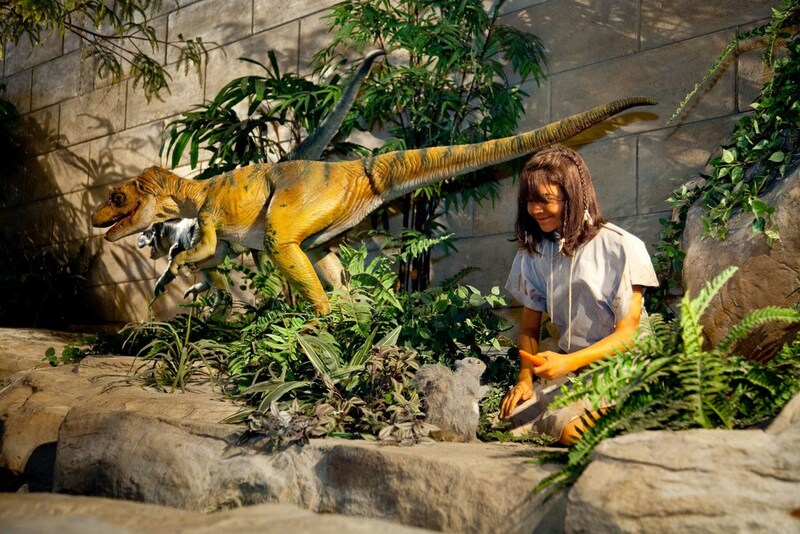 Humans existing side-by-side with dinosaurs, at Answers in Genesis’ Creation Museum, in Kentucky, in stark contrast with the narrative every public school educated child learns from the modern scientific consensus, namely, that the dinosaurs died out millions of years before modern humans entered the scene. 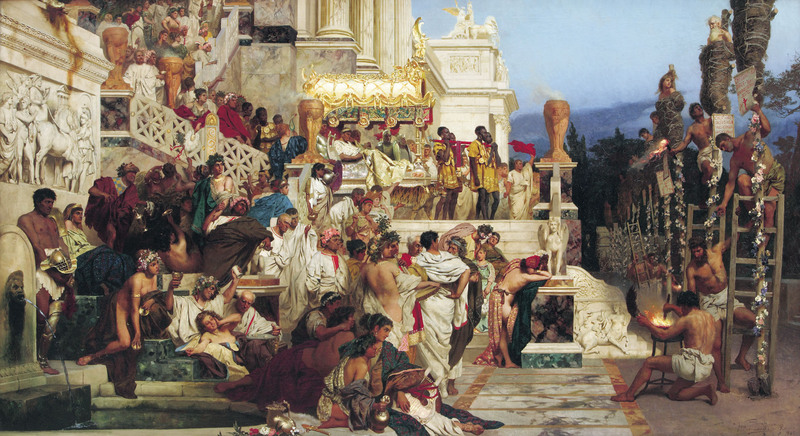 Nero’s Torches , 1876, by Henryk Siemiradzki (1843–1902). Nero used Christians as torches in Rome, in the last days of Paul. Who was the Apostle Paul, and what was it like to be a Christian in Nero’s Rome, in the A.D. 60’s? Paul, Apostle of Christ, a film directed by Andrew Hyatt, and made by Affirm Films (who also made Fireproof and Courageous), tells the gripping story in a creative way. Normally, I am a bit skeptical about Christian films, but this one was fantastic. The premise behind the film is that Luke, a physician and companion of Paul, comes to visit Paul, when he is imprisoned in Rome’s Mamertine prison, awaiting execution. Unfortunately, while the film’s premise is very interesting, there is a lot we do no know about the last days of Paul, or how Luke wrote Acts, with any particular degree of certainty. We know from Eusebius, an early church historian, that Paul was held in the Mamertine, and we also know that the madman, Emperor Nero had blamed the great fire in Rome on the Christians, using Christians as torches to light the city. Did Luke write the Book of Acts, in Rome, during the last years of Paul’s life? Were Priscilla and Aquila in Rome, when Luke came to visit? We have no evidence for these speculations made in the movie. But to focus on these historical questions misses the point of the film. In Paul, Apostle of Christ, we get a glimpse into what motivated Paul, as well asking some very real questions as to how the Christians might have thought about Nero’s persecutions. Should the Christians fight back and resist Nero? Should they flee Rome itself, and avoid the Romans? Should they stay in Rome and pursue a non-violent course? These are tough questions, and the film rightly explores them, as the persecuted Christian community looks to their imprisoned leader Paul, for help. Many Christians today think of the so-called “Great Tribulation” solely in terms of a future event, that will happen prior to the Second Coming of Christ. Yet Paul, Apostle of Christ makes a very convincing case that the “Great Tribulation” was just as real, and bad enough, in those terrifying days, in Nero’s Rome. Along the same lines, another recent film, Tortured for Christ, tells us that such “Great Tribulation” even happens in our own day, but that much of American Christianity seems rather oblivious to that reality. If anything, viewing Paul, Apostle of Christ, should encourage any person, believer or non-believer to take the time and seriously read the Book of Acts. Be thankful for the freedoms that many of us take for granted. Find your faith in the Risen Jesus, just as Paul did. Pray for the persecuted church. Starting today (February 1st), I will be facilitating a new class on personal discipleship. For the next nine weeks, we will meet promptly at 10:45 a.m. in room 156 at the Williamsburg Community Chapel. “Personal discipleship” is the process by which a believer or seeker accepts personal responsibility for exploring the claims and content of the Bible. The class will explore resources and topics, going beyond the sacred page to meet some of today’s most interesting and thought-provoking theologians, apologists, and philosophers. We will discuss historical evidence for the Resurrection, the dating of Easter, apologetics, textual criticism, the trustworthiness of Scripture, biblical inerrancy, science and faith, and current topics in theology. The first session will focus on resources for personal discipleship. Click on the image above to download a PDF file containing hyperlinks to some of my favorite resources, which I will demonstrate in the class. If your personal studies are getting a little rote, try clicking on the images in this file to find some refreshing new tools and resources that you can use to reinvigorate your devotional life. The breadth and depth of high-quality resources available today is absolutely stunning. I posted the following video a couple of weeks ago. It presents an interesting, refreshing basis for studying the Christian faith—specifically that Christianity is founded on objective truth. 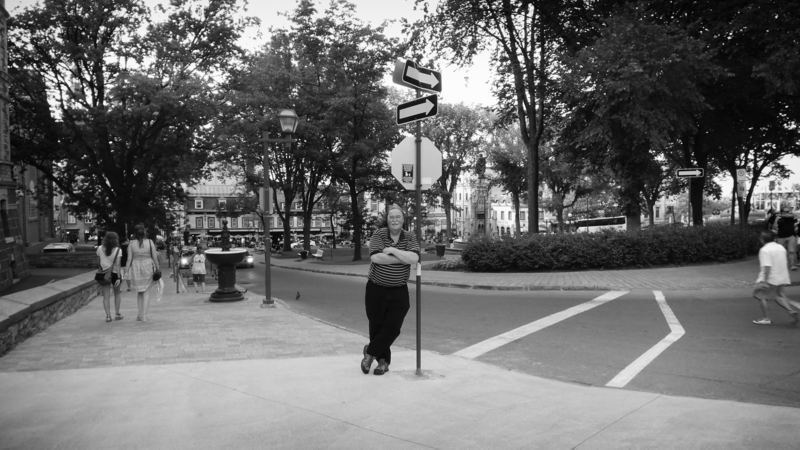 The ideas in this video will frame our approach to studying during this class. In Matthew 25:14-30 Jesus gives us a clear parable about God’s expectations for His people. The basic point of the story is that God has given every one of us gifts, and that He will turn away those who fail to use their gifts wisely. Some parables are difficult to understand, but not this one. It’s a tough object lesson.